The Liberal Party (LP) had long devised ways to bring down their opponents, and one of the most formidable ones they encountered was former President Ferdinand Marcos in which a series of plans for his overthrow was put into place. 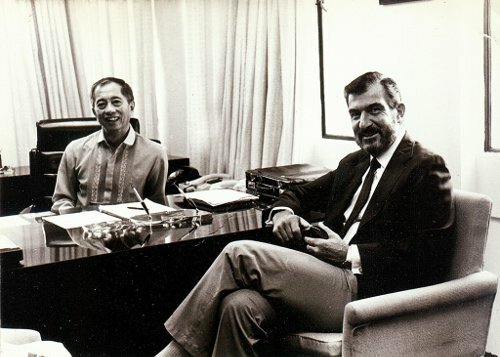 It started with the Light-A-Fire Movement with geodetic engineer and professor at the Asian Institute of Management Eduardo Olaguer as one the author of the master plan which was described by tycoon and engineer Steve Psinakis as "a well-studied, long-term and complete plan for the overthrow" for Marcos’ rule. 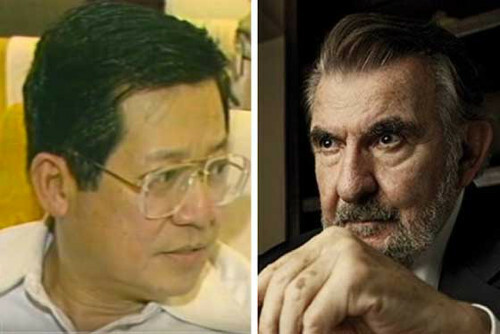 Psinakis, according to the Truth and Justice Foundation, became a journalist to not only ruin Marcos’ image, but also to build a roster of high profile networks in America that would help fuel his plans to dethrone the long-standing president that time. He, along with Eugenio Lopez Jr. and Sergio Osmeña III, has been implicated in several assassination plots against Marcos. However, the Light-A-Fire was abruptly ceased when Ben Lim, described by journalist Sylvia Mayuga as "one of the Filipino immigrants who trained for terrorism in Arizona with other members of the Movement for a Free Philippines (MFP)", was caught by intelligence operatives in formerly Manila International Airport carrying a luggage full of explosives and incendiary materials. Unlawful possession of explosives and incendiary devices; Conspiracy to assassinate President and Mrs. Marcos; Conspiracy to assassinate Cabinet members Juan Ponce Enrile, Francisco "Kit" Tatad and Vicente Paterno; Conspiracy to assassinate the late Agriculture Secretary Arturo Tangco, the late Local Governments Secretary Jose Rono and Education Secretary Onofre Corpus; arson of nine buildings; attempted murder of Commission on Election Chairman Leonardo Perez and Manila Times columnist Teodoro Valencia and Armed Forces Chief Generals Romeo Espino and Presidential Security Command head Fabian Ver; and Conspiracy and proposal to commit rebellion and inciting to rebellion. Olaguer may have pleaded “not guilty”, but he explicitly stated his zeal for a rebellion when he said before the military tribunal during his trial, "I solemnly declare that I have taken up arms against the corrupt and illegal dictatorship of Ferdinand Marcos." During his trial, Olaguer revealed more sensitive information surrounding the anti-Marcos movement in which Othoniel Jimenez was his chief lieutenant and the designer of the incendiary operations used for their arson campaign, that Light-A-Fire was linked to MFP, and that the destabilization campaign was approved by Lorenzo Tañada, Francisco 'Soc' Rodrigo and Jovito Salonga. Olaguer and his cohorts were to be brought to death by electrocution by December 4, 1984, but the EDSA People Power revolution took place and saved them from death. Under former President Cory Aquino’s reign, it was known as the Olaguer Doctrine and was responsible for overturning the death sentence of many political prisoners that time, most, if not all, of whom had participated in or devised for Marcos’ demise. However, the end of the Light-A-Fire Movement only gave way to another destabilization plan known as the April 6 Liberation Movement (A6LM) which changed their terrorist approach from arson to bombings.